Your dog is the honor student at BK-9U! Barkeley K-9 University is a mobile, in-home dog training company based in the East Bay of San Francisco. Headed up by dog trainer, Patrick Gibbons, BK9U has over ten years of training experience to draw from to help you and your dog. If you have always wanted a dog that does cool tricks and is polite and obedient, or you have a real tough case on your hands, we can help. Using current dog training methods we can teach you and your dog in a way that is not only effective but enjoyable as well. Our Dog Training services are designed to be fun and effective so you and your dog enjoy training. We offer a variety of training options to fit your needs, whether you want lessons on how to train your dog yourself or if you want to have your dog trained for you we can help. 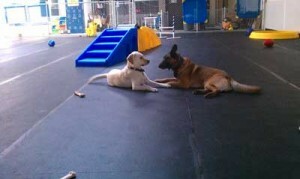 In any of our training options we believe it is equally important for the owner to be educated, as well as the dogs. When the owners are educated along with their dogs they are better able to work out the little bumps in the road that inevitably come up.